Our next major photopost will be for liturgies celebrated on the Epiphany, whether in the OF (Sunday, Jan. 8 in the United States) or the EF, or any of the Eastern Rites, Ordinariate Use, etc. ; and as always, we will be very glad to include other liturgical ceremonies such as the Blessing of the Waters. Please send your pictures to photopost@newliturgicalmovement.org, and don’t forget to include the name of the church and its location, along with any other information you think worth noting. Evangelize through beauty! 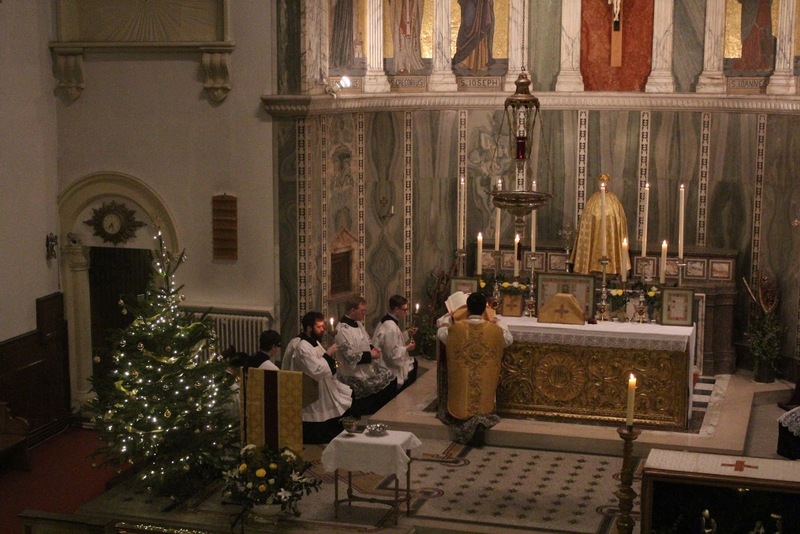 From last year’s Epiphany photopost: genuflecting at the words “And falling down they adored Him” during the Gospel, at the church of Our Lady of the Assumption and St Gregory, in London, England.